Christmas is not far away but you still have time to crochet some little gifts or decorations for your home. The bigger tree shown in the picture is crochet with Schachenmayr nomotta Bravo and a 4mm Hook. It measures 26cm = 10,24inches. 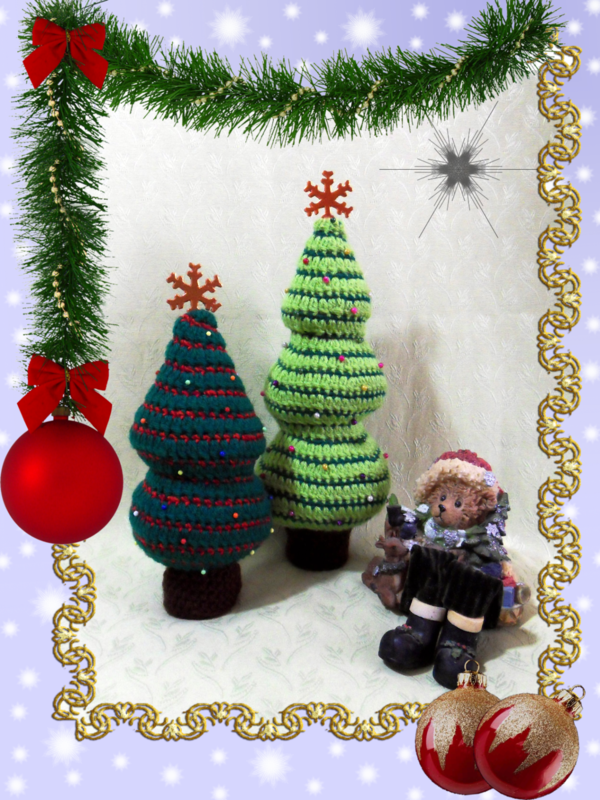 The smaller tree shown in the picture is crochet with Schachenmayr nomotta Bravo and a 4mm Hook. It measures 19,5cm = 7,68inches. If you want to make smaller trees just use a smaller Hook and matching yarn (for example a 2mm Hook).